Our administrative staff make appointments, maintain accounts, process insurance forms and support the efficient operation of the office. Our goal is to be the best part of your day and we place great value on you and your time. The Orthodontic Technicians are x-ray certified and have completed a state-required course in expanded orthodontic techniques, as well as annual continuing education courses in CPR, infection control and orthodontics. These technicians work directly with the doctors. Our goal is to provide the finest orthodontic treatment available in a professional environment where the patients’ needs are our top priority. Our team work to attain an unequaled level of professional service that exceeds our patients’ highest expectations; a level that secures Spannhake Orthodontics as the leader in orthodontic care in our community. We will strive to motivate and educate our patients in a friendly, caring manner so that they understand the full benefits of orthodontics and realize the importance of a shared commitment between the patients, parents and the orthodontic staff. 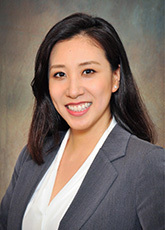 Dr. Jinah Kang joined the practice in September of 2018. Her knowledge and expertise in the application of state-of-the-art orthodontic techniques is exceptional and will complement very well the progressive strategies of orthodontic care delivered in the practice. Dr. Kang attended the University of Maryland at College Park earning a Bachelor of Art degree in Sociology. She also attended graduate school at Rutgers University receiving a Masters degree in Biomedical Sciences. Dr. Kang continued her education at the University Of Pennsylvania School Of Dental Medicine where she earned her DMD degree. 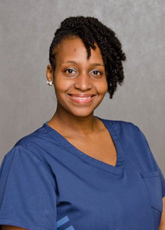 She received her Orthodontic Specialty certificate with a concurrent Masters degree in Oral Biology at Temple University’s Kornberg School of Dentistry. Born in Korea, Dr. Kang grew up in the Washington D.C. metropolitan area attending Thomas S. Wootten High School in Rockville. During her leisure times, she enjoys playing the piano and spending time with her nephew. As the Practice Administrator, Amy gets to know our patients and their families very well. She loves being able to talk with our patients helping them understand all of the financial aspects of their orthodontic treatment. 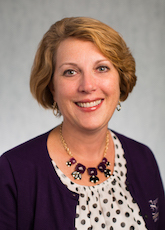 Amy also handles our patients’ insurance and billing needs. It’s a good feeling to know that she is able to help so many people, and to make them feel comfortable being in our practice. 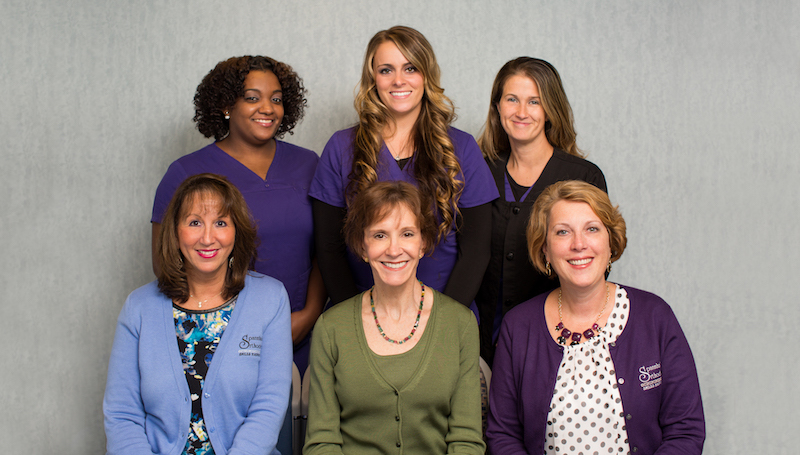 Amy has been in the field of orthodontics for over 27 years. The Lighter Side of Amy… When she is not in the office, she enjoys spending time with her husband, stepson, and two adult sons. Her hobbies include gardening, crafting, and reading. 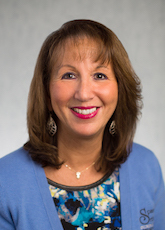 Stacy has worked in the healthcare and dental fields for over 34 years. Throughout the years, Stacy has developed a wonderful talent of being able to keep patients on a more personalized level. Stacy a stellar background in customer service, which gives her the ability to provide our patients with quality, compassionate assistance. Married, with two step-sons, she enjoys family time, hiking, and the beach. I love watching people grow into their fantastic new smiles, and I do my best to make sure that process goes as smoothly and comfortably as possible. Making sure that our patients are always taken care of and made to feel as special as they are to us is my number one priority. Melissa is an experienced dental assistant who has worked in the field of orthodontics since 2000. She has attended many advanced clinical courses over the years and has gained experience in many different appliances and techniques. 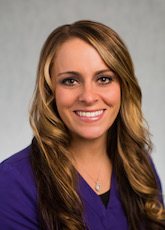 Melissa enjoys watching the progress her patients make and the new smiles they receive. She is devoted to her family, loves going to the beach and is the proud mother of a little boy. I always put my best foot forward and do everything I can so that our patients’ experiences here are memorable and rewarding. Being able to meet so many patients while helping them achieve amazing smiles is my favorite part of my job. I am always encouraged to learn new ways to improve our patients’ treatments and time in our practice. 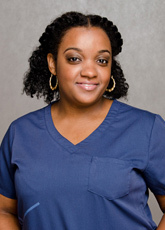 Jenna has worked in the dental field for more than twelve years. With experience in cosmetic dentistry, pediatric dentistry, and orthodontics, she has a broad range of skills and knowledge. This knowledge allows Jenna to provide information on many topics and treatments to patients and parents. 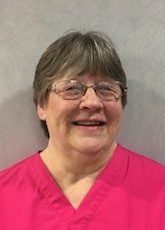 She enjoys helping patients achieve their new smile through her kind and caring manner. Jenna has three children and is very involved with their sports, school activities, and scouting. Millie has been involved in the field of orthodontics for over 30 years. She enjoys making a difference in people’s lives by helping to give them beautiful smiles. 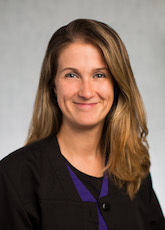 Millie brings to the practice a fun humor, as well as great clinical skills. Millie is married and has two grown sons. She enjoys crafting, canning, and travel.